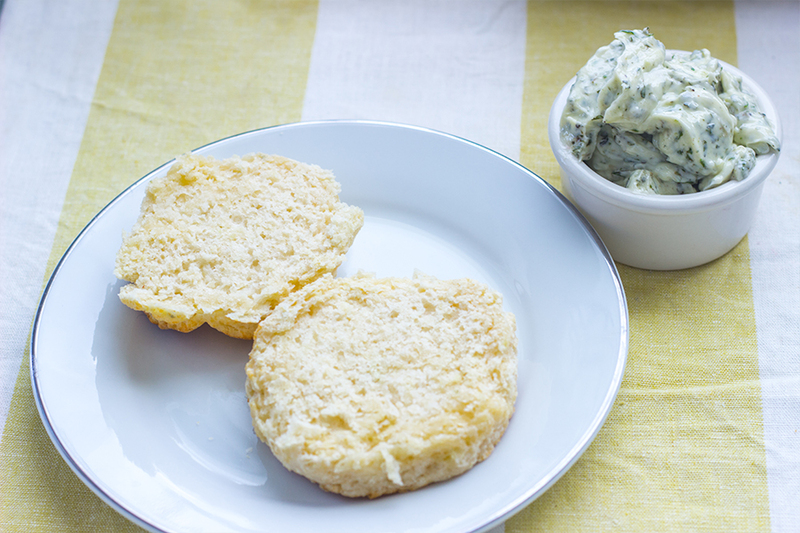 Whipped butter or compound butter is one of the easiest ways in add some extra flavor to anything. 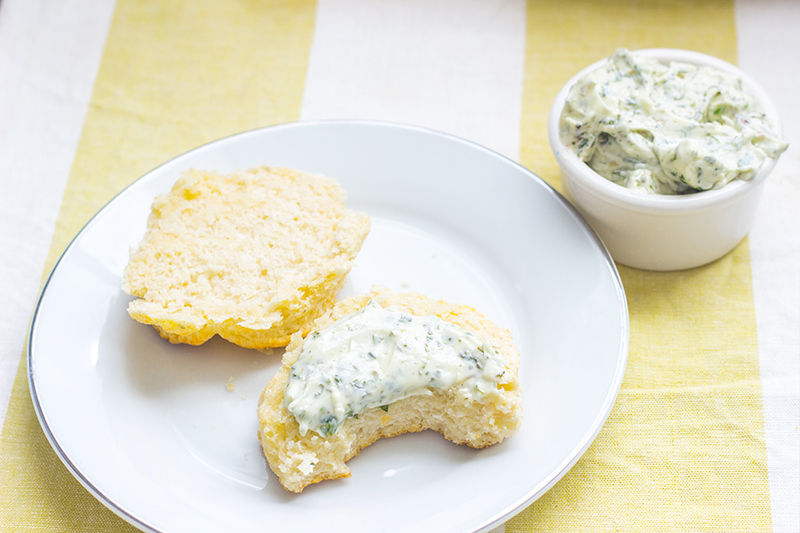 You can make a sweet butter like my favorite whipped honey butter or you can go the savory route and make this delicious herb butter. It is so simple to make all you need are three ingredients. I kid you not THAT.IS.ALL.YOU.NEED. Butter is a favorite in our house. I literally have to hide the butter on the top shelf because the kids would eat it like ice cream. I don’t think that’s normal. HAHAHAHAHA! 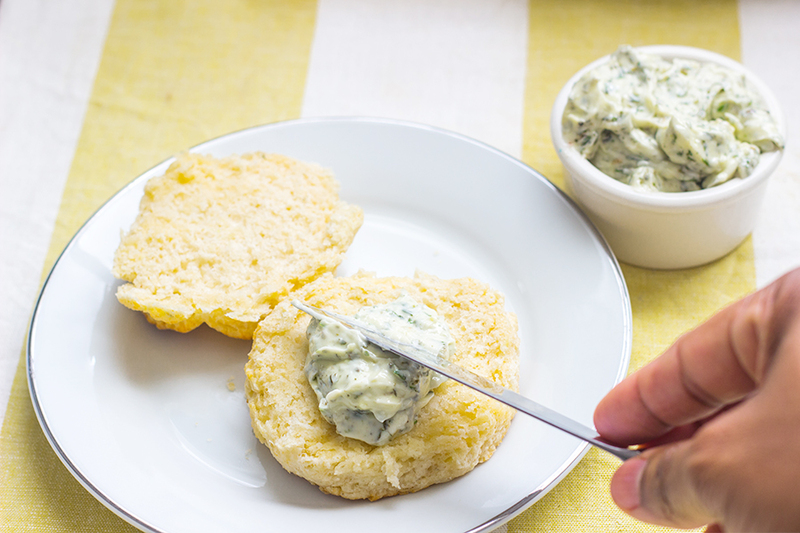 Most of my experience with herb butter has been in restaurants. I love when I order a steak and I can get a side of herb butter. That is when you know the steak is on another level. When I first made this butter over the weekend I tried it on everything. Chicken, fish, biscuits, rolls and you know what it was fabulous on all of them. I was in love. Butter makes everything better. It is important to make sure that the butter is really soft but not completely melted. 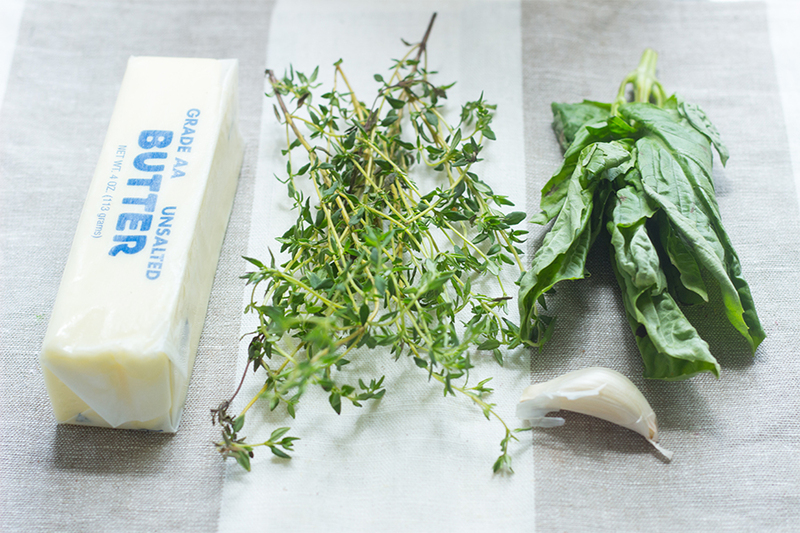 If the butter is too hard the thyme and garlic won’t get a chance to fully yield their flavor to the butter.This will not store long in the fridge so you can always shape it in a log and freeze it so you can enjoy it for weeks to come. That’s if it makes it that long. In our house it is gone in seconds. Place the oil into the food processor and add the garlic. Process until the garlic are finely chopped. Add the thyme and basil. Blend until the herbs have colored the oil. 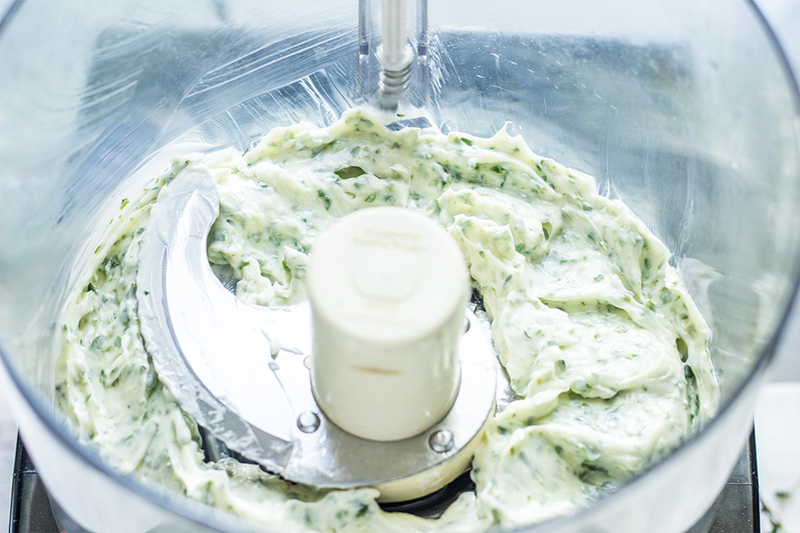 Using the whisk attachment on your hand-mixer, whip the butter in the mixer work bowl at medium speed until it softens and lightens in color, about 5 minutes. Add the herb oil to the butter and beat for another 1 minute until herb mixture is combined. Remove butter and place in the refrigerator until ready to eat.